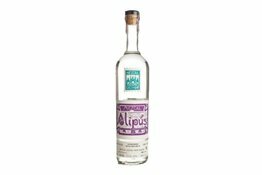 Fermented in cypress vats & distilled by Don Valente Angel from agave Espadin grown at about 5000 feet on thin calciferous soils among low hills and terraces. Complex, rich, intensely floral. Fermented in pine vats & distilled by Don Cosme Hernandez from agave Espadin grown at about 5700 feet in hilly, white, & rocky soil. Delicate and fruity, slightly sweet. Fermented in pine vats & distilled by Don Baltazar Cruz Gomez from agave Espadín grown at about 4000 feet in steep and sandy soils. Spicy, round, and soft.